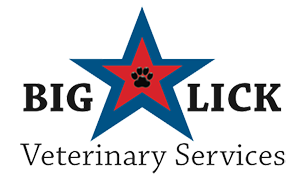 At Big Lick Veterinary Services, you can expect state of the art medical care for your four-legged companions. We believe in nurturing the human-animal bond and creating a harmonious relationship between people and animals. You can expect to be greeted by a courteous receptionist, clean exam rooms, friendly doctors, and caring technicians. We appreciate the role we get to play in your pet's health care. If you have any questions or comments about how we can care for your pet, please contact us today at (540) 776-0700. We are open on Monday, Wednesday, Thursday, and Friday from 7:30 am to 5:30 pm, and on Tuesday from 7:30 am to 7:00 pm. My cat Vincent Price and i were very happy about our first visit with you all! I'm very excited for a vet to finally take his issues seriously and move us in a good direction! I'm so happy to have found Big Lick. The whole entire staff is nothing short of AMAZING. My animals will go no where else. Thank you for all you do and making us feel like Family!!! Professional and caring staff. They go above and beyond the usual level of service! Thank you for everything!! These guys are so Great!!! Staff was Wonderful ... Very accommodating and Caring!!! ❤️ Our little guy is feeling much better now! Thanks and see ya soon! We have always received the best of care for our furry friends at Big Lick and highly recommend them to anyone. This clinic has big hearts and have been there for me and mine in a crunch more than once. Thank you all. Big Lick rocks! The staff is vet friendly and knowledgable. I wouldn't take my miniature schnauzers anywhere else! Great people! Especially love Dr Nelson. Very knowledgeable and practical. Explains and advises wisely. This vet's office does not get the recognition it deserves. Every vet here is extremely friendly and knowledgeable. Best vet's office around. Everyone at Big Lick is caring and loving towards animals. Tucker has always been treated with kindness and consideration, as have his pet parents. Clean facility, great environment, staff showed love and care for my puppy. Veterinarian was terrific! Overall great place to take any animal!